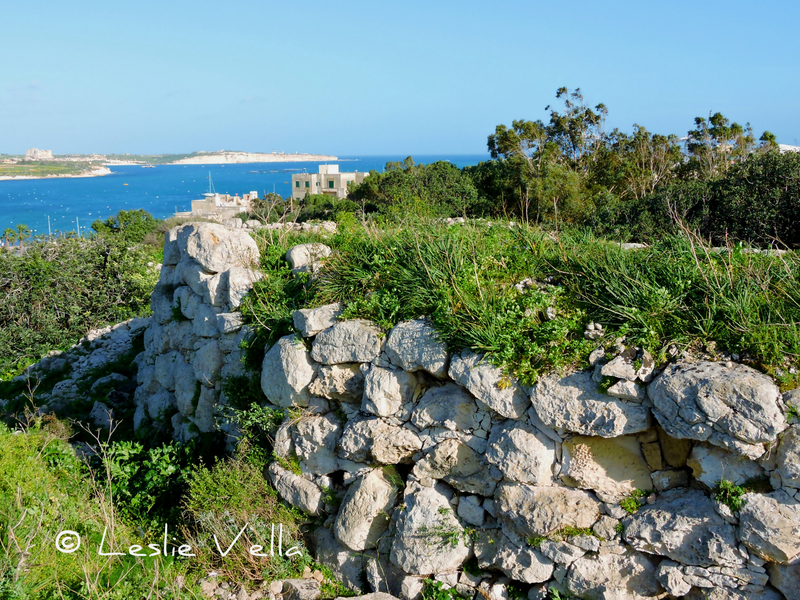 Mention Maltese fortifications and one’s mind is automatically transported to the impressive and extensive defensive systems designed and constructed during the period of the Knights of St. John of Jerusalem, more popularly known as the Knights of Malta. The most impressive of the Knights’ fortifications include the walls of Valletta and Floriana, the Cottonera Lines encompassing the Three Cities of Vittoriosa, Cospicua and Senglea and the walled citadels of Mdina and Victoria on Gozo. The British also left some impressive fortifications the most famous of which are the Victoria Lines which criss-cross the island at its widest breadth between Madliena and Fomm ir-Rih. Older medieval fortifications, some dating from the Byzantine and Arab period, are found in Vittoriosa, Mdina and the Gozo Citadel where they were incorporated into the Knights’ battlements. A couple of locations such as San Gwann also feature the remains of Roman towers which presumably had some sort of military significance, albeit of an observatory nature. 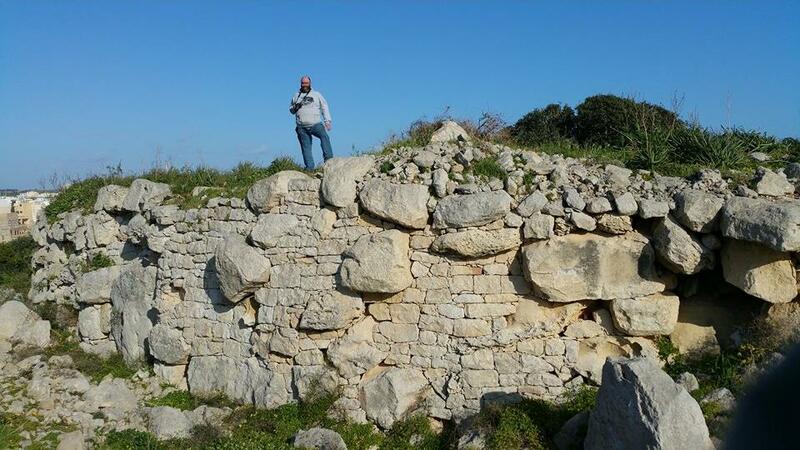 By far, the oldest evidence of a fortified structure to have been found in Malta is the impressive wall protecting the remains of the Bronze Age village at Borg in-Nadur in Birzebbuga on the south-eastern tip of the island of Malta. 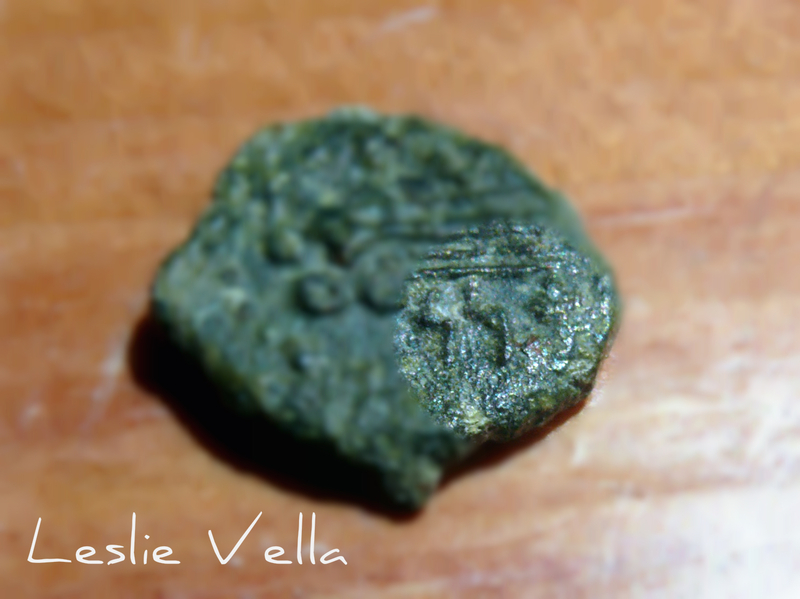 Borg in-Nadur has a very interesting history. 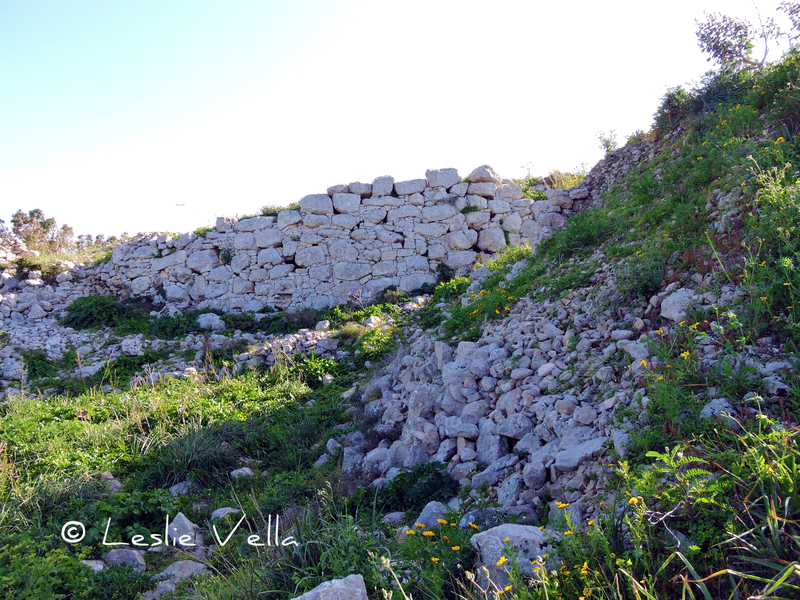 It lies at the tip of the Wied Dalam valley where around half a kilometre upstream lies Ghar Dalam, the Cave of Darkness after which the earliest phase of Maltese prehistory is named. 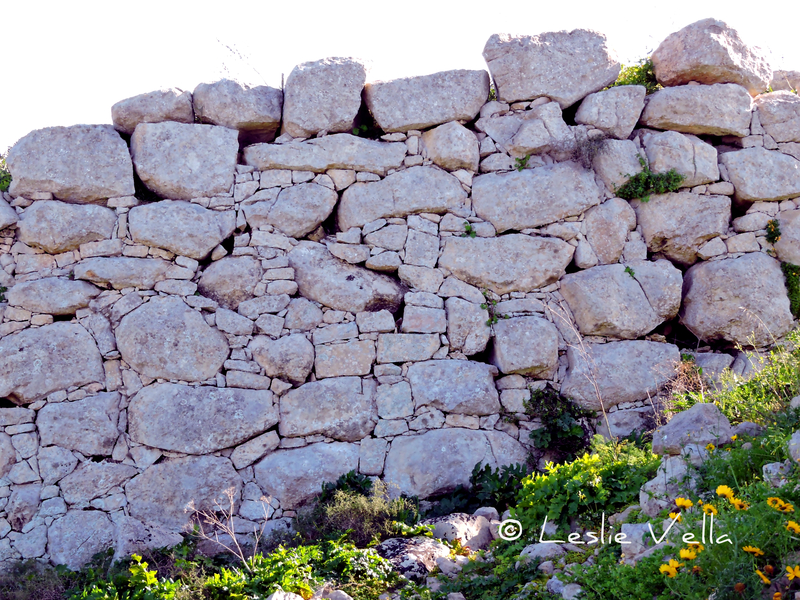 The Ghar Dalam phase dates back to around 5000BCE and is reputed to contain the oldest evidence of human activity in the Maltese Islands: settlers who came from Sicily by crossing the 100 kilometre stretch of sea on rafts and boats bringing with them seeds, livestock, fabrics and pottery which has been matched with artefacts from a south-eastern Sicilian prehistoric site called Stentinello. 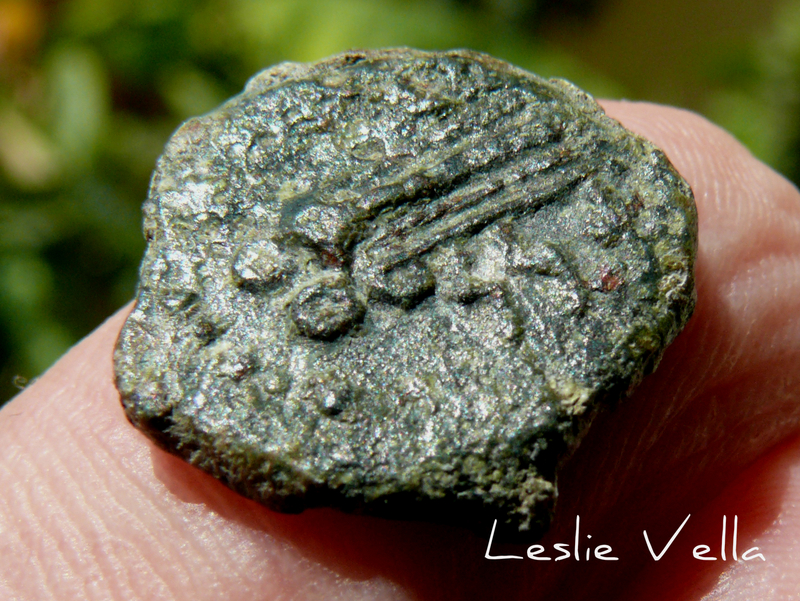 Borg in-Nadur started life around 2,500BCE as a Tarxien-phase temple. 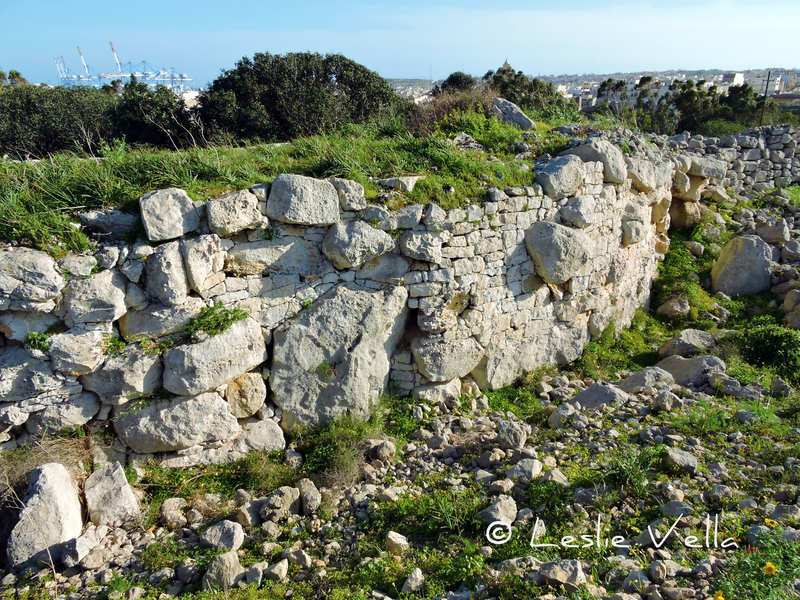 It was a relatively small and undecorated temple on a promontory overlooking the protected expanse of Marsaxlokk harbour. 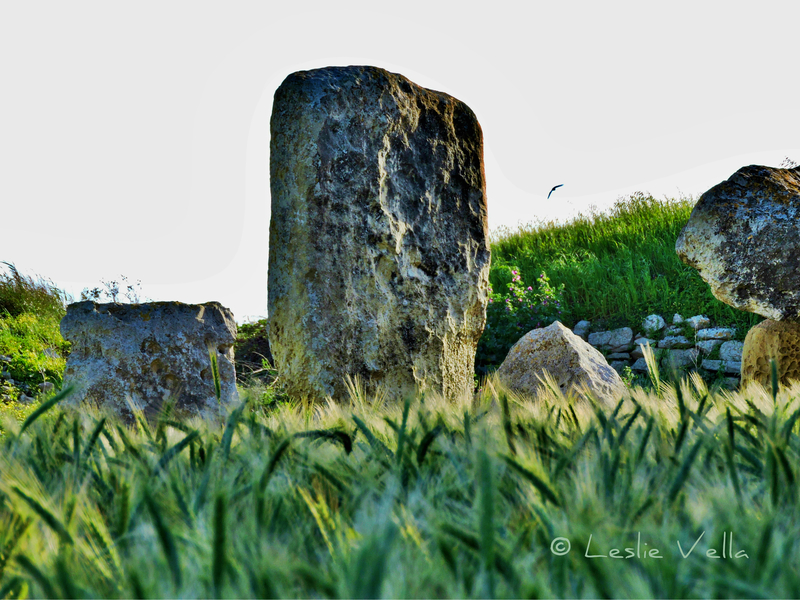 After around a thousand years as a temple, the site was taken over by a new wave of Bronze-Age settlers around 1500BCE who differed principally from their Neolithic predecessors owing to their introduction of metal tools, implements and weapons to the Islands. The Bronze Age settlers occupied Borg in-Nadur for a thousand years until 500BCE when the literate Phoenicians reached these shores and transported Malta into the historic age. The Bronze-Age settlers redeveloped the site quite extensively into a sizeable village. They recycled a lot of the stones from the temple complex and built their huts in the general area of the older temple site. Hut foundations were excavated by Margaret Murray in the 1930s but were buried once more once the necessary studies were conducted. The village seems to have been quite large housing a few hundred residents and also featured around one hundred grain silos excavated as bell-shaped cisterns in the soft globigerina limestone around the coast. Most of the silos were destroyed in two episodes of road construction and widening in the twentieth century but a handful survive on a thin coastal stretch across the road from the main site: silos which have their own unique story to tell owing to the fact that most of them lie under sea level suggesting either a rise in sea levels over the past couple of thousand years or else land subsidence. This story is further corroborated by the presence of a single, adjacent set of cart-ruts which also lead straight into the sea. 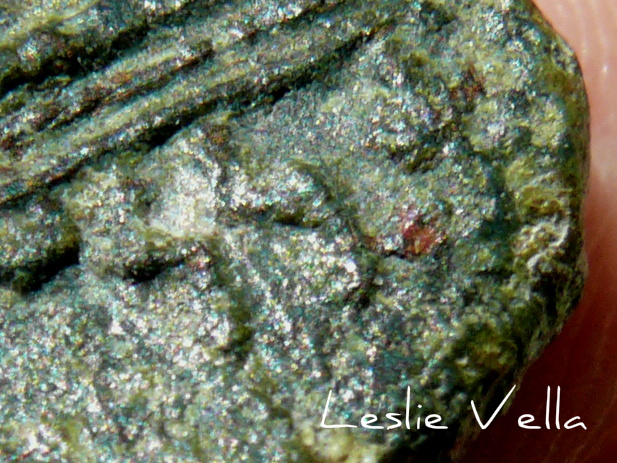 Evidence indicates that the Bronze-Age inhabitants were more warlike than their predecessors, although it is not clear whether their bellicose behaviour extended to the threat of foreign seafarers or other clans inhabiting other parts of the Island. 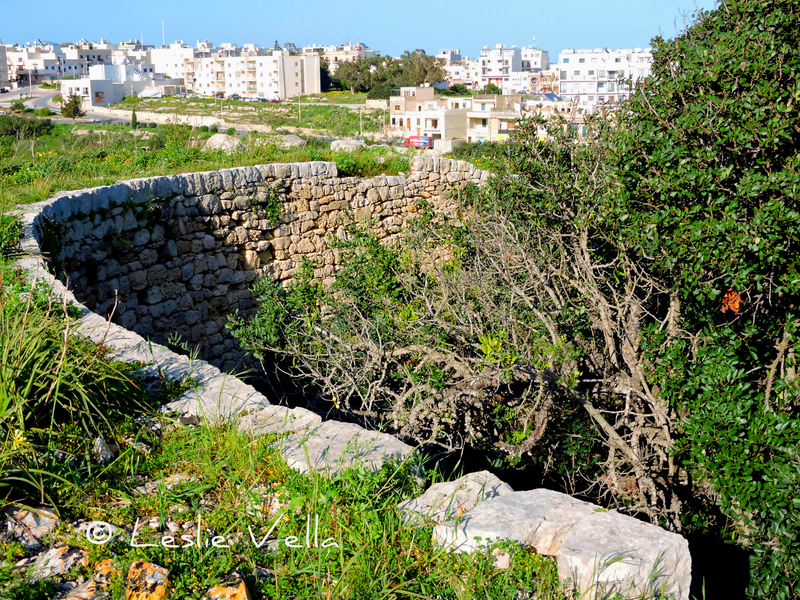 One of the most impressive and clear indications of the troubled times in which these people lived, is the extensive 4.5 metre high semi-circular wall which lies at the northern end of the Borg in-Nadur village. The wall was excavated by Murray in the 1930s and contrary to most of the dig carried out then, it was not reburied. The original remains of the wall were augmented by modern reconstructions especially in the back part. The entire structure is about 30 metres long and circa 2.5 metres thick. The most impressive aspect of this 3,500 year old wall is the huge rock boulders which are embedded within the structure: megaliths which were probably recycled and reused from the original temple. 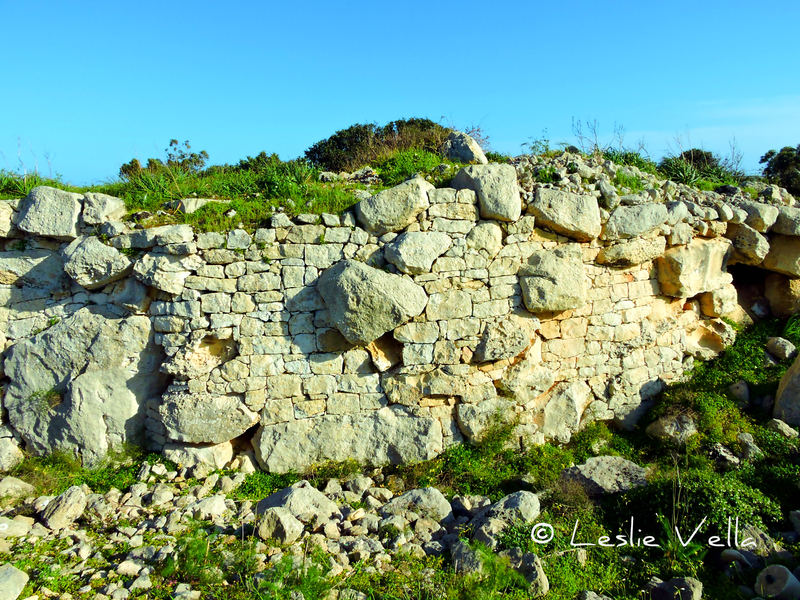 An intriguing aspect of the Borg in-Nadur defensive wall is that it actually faces inland rather than towards the sea! Does this mean that the villagers were more interested in defending themselves from the enemy within or is there another unknown significance? 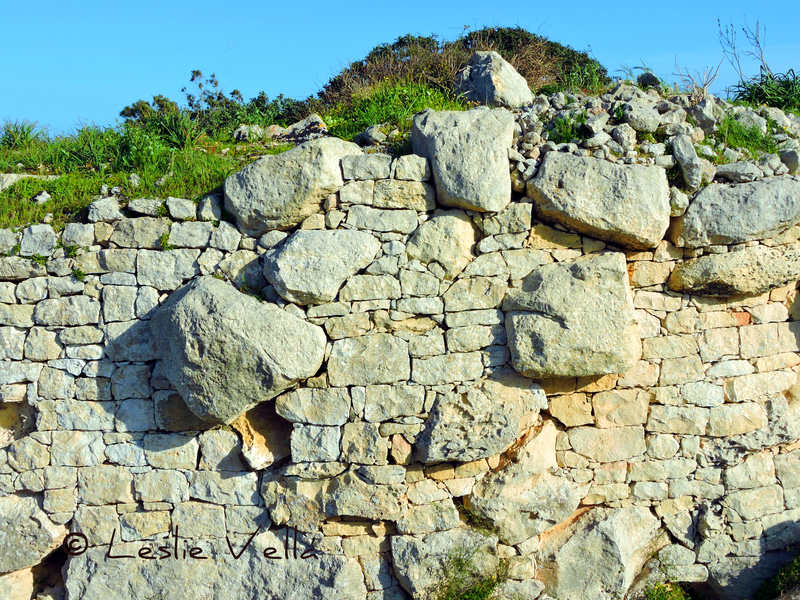 Whatever the interpretation, this small and relatively unknown site has its special place in Malta’s impressive list of historical treasures: the first in a 3,500 year fortress-building tradition making Malta one of the most well-defended locations in the Mediterranean.